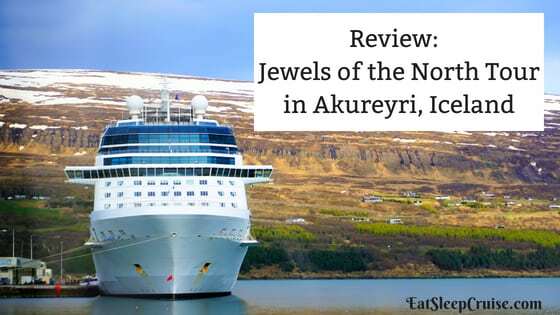 During our recent Celebrity Eclipse cruise, we booked a tour to some of the most popular attractions in Akureyri, often referred to as the Jewels of the North, with a local tour company. 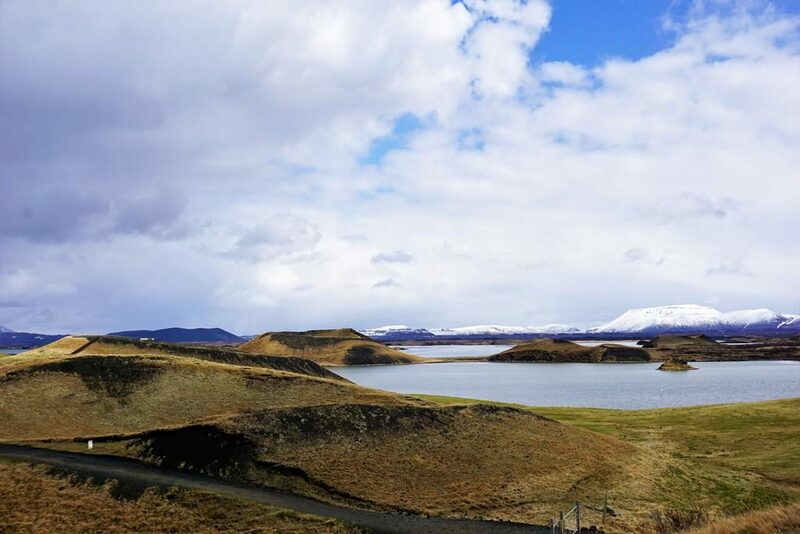 We booked this 6 hour excursion as part of a combo package with the Golden Circle excursion in Reykjavik, Iceland. 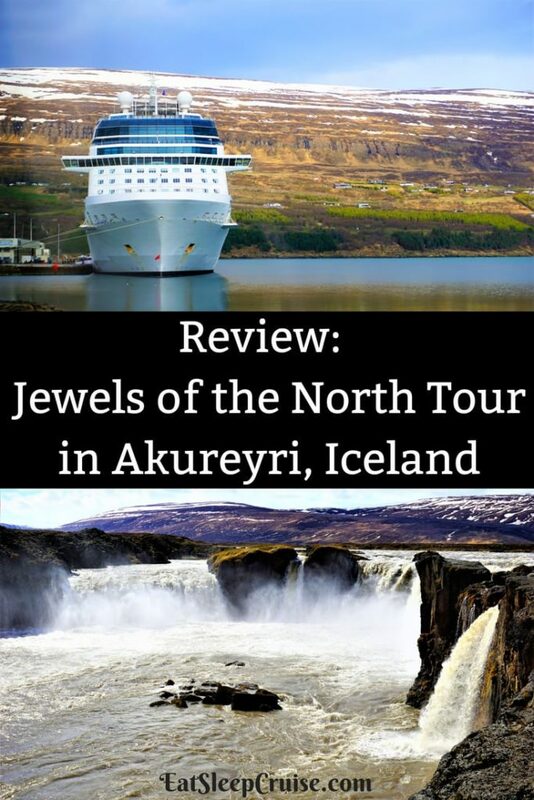 Follow along on our Jewels of the North Tour in Akureyri, Iceland. After crossing the Arctic Circle overnight, our ship was scheduled to arrive in Akureyri, Iceland at 10:30 am. Our Jewels of the North tour was scheduled to meet on the pier with a departure time of a half hour after our ship was cleared. We arrived right on time and were off the ship in just a few minutes. The scene at the pier was a bit chaotic with several tour buses and tour operators holding signs. We actually spotted our tour guide from the previous day in Reykjavik, and he directed us to the appropriate location to check-in. Unfortunately, we would be on a larger bus today with a different guide. Our bus departed the pier slightly after 11 am to make our way to the Godafoss waterfall which was about 40 minutes away. This “waterfall of the gods” is one of the most beautiful and most powerful in Iceland. 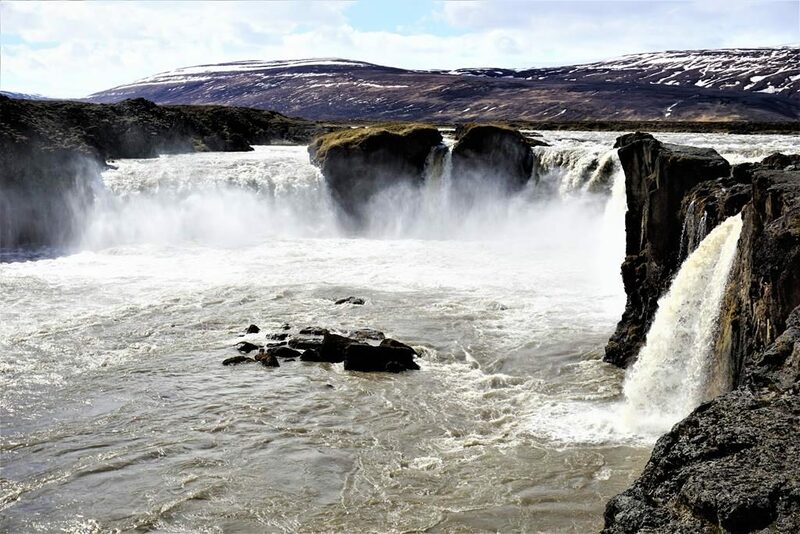 Here, the water from the Skjálfandafljót River falls 12m over a width of 30m. Legend has it that back in 1000AD when Christianity was named the official religion of Iceland, the law speaker threw his statues of the Norse gods into the waterfall and so the name derived. The bus dropped us off close to the waterfall for some amazing photo opportunities. After a brief stop, those who wanted to board the bus for transport to the visitor building could do so or you could walk the slightly rugged path and over the bridge to meet up with the bus on your own. Of course, we opted to do the walk stopping to take pictures from several different perspectives along the way. After an approximately 40 minute stop, the bus departed at 12:30 pm for our next destination, the Skutustadir pseudo-craters. We were given 30 minutes to walk up the hill to view the psuedo-craters and the picturesque Lake Mytvan as the backdrop. These pseudo-craters were formed from explosions as boiling lava flowed over the cool wetlands near the lake. Of note, if you need to use the restroom, they are limited here as well as the previous Godafoss stop, so you might end up wasting most of your time waiting in line. 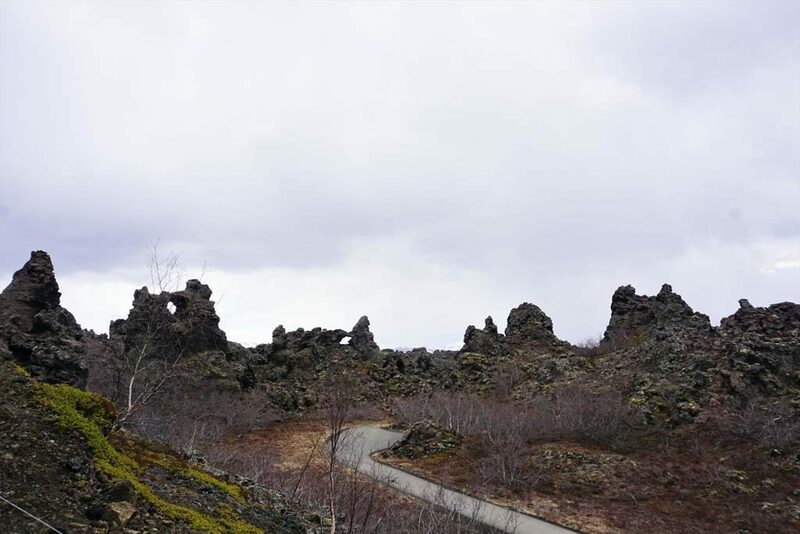 A short 10 minute drive away was our next stop, Dimmuborgir. This “Dark City” reveals a dramatic lava landscape with various volcanic caves and rock formations reminiscent of a collapsed city. As we only had 40 minutes to explore and many of the walking paths seemed quite similar, this was a strictly guided portion of the tour so that no one would get separated from the group. We were able to take some photos of the area and visit the Yule Lads cave. As legend goes, these 13 sons born from trolls use the summer season to sleep but can be found in inhabited areas during the winter season as they prepare for Christmas. From here, it was another 10 minute drive to our next destination, Namaskard (or Hverir). 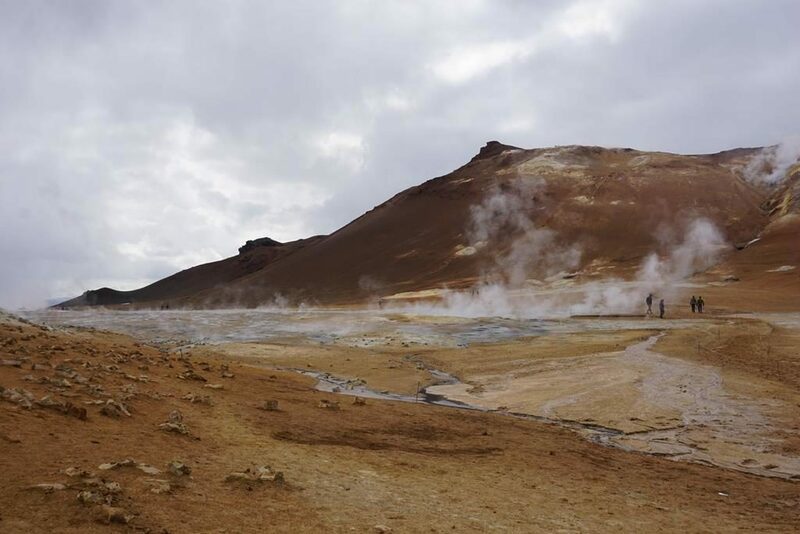 This geothermal field is filled with bubbling mud pots, sulfur deposits, fumeroles, and hot springs. While vegetation is absent due to the heat and acidity of the soil, you will notice vivid coloration in the earth and the unavoidable sulfuric smell. The landscape definitely looks unearthly and is worthy of some photo ops. Our tour guide did give us shoe covers as walking on this surface can get a bit messy. After spending about 20 minutes exploring, not that we could take much more of that smell anyway, it was on to our final destination, The Mytvan Nature Baths (Jardbodin). Similar to the Blue Lagoon in Reykjavik but smaller and more low key, these geothermal hot springs are great for relaxing. Rich in minerals, including sulfur, the water is said to have positive effects on respiratory diseases and skin conditions. We were given a little over an hour at this location; however, admission to the baths was not included in the tour price. If you plan to take a dip, you should bring a bathing suit and your own towel as these are not included in the admission price. 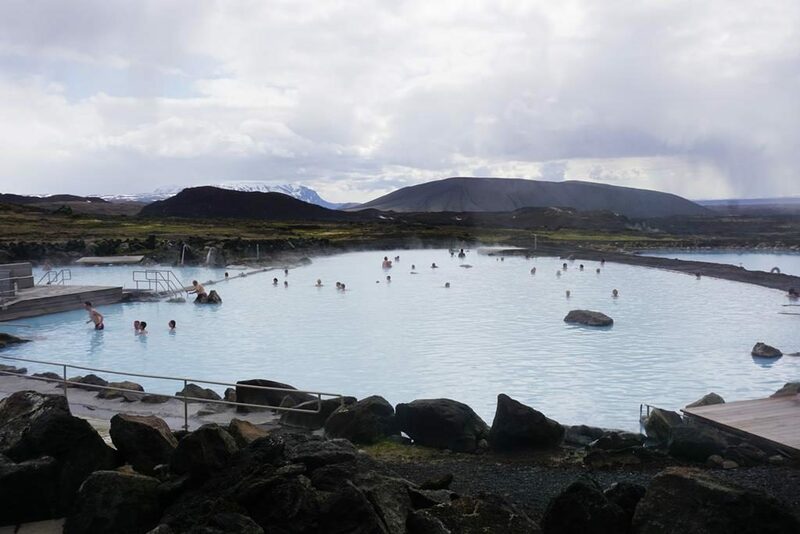 Since we had already visited Blue Lagoon, we chose not to pay the admission for these nature baths. After taking some photos of the area, we relaxed in the indoor cafeteria. 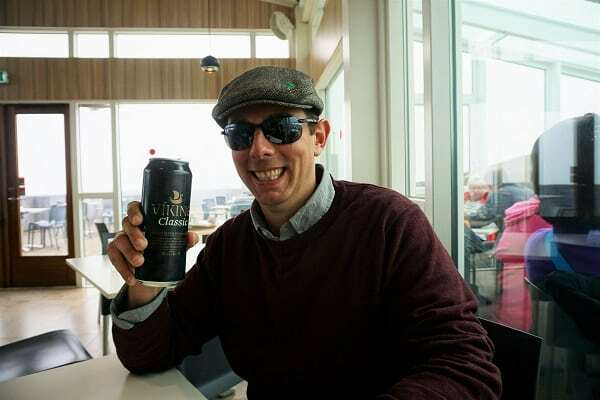 DB had to try an Icelandic beer of course. There is also a small restaurant on the premises, but it is very overpriced. If you choose not to go in the baths, the time here does seem a bit long. We departed the Myvtan Nature Baths right around 4 pm for the hour and 20-minute drive back to the cruise terminal. While the tour description states there is also an Akureyri city tour, we had to skip this portion as our tour had already gone beyond the 6 hours anyway. Despite it being a bit chilly, we had mostly sunny weather during this tour which made it ideal for viewing these locations and taking pictures. We enjoyed our excursion and would recommend the tour company to cruisers wishing to see the Jewels of the North in Akureyri, Iceland. Although, we wish that the group size would have been a bit smaller like the tour we took of the Golden Circle in Reykjavik. IG Tours does offer excursions specifically for cruise ship passengers, so the tour may be modified based on your time in port to ensure you are back to your cruise ship in time. 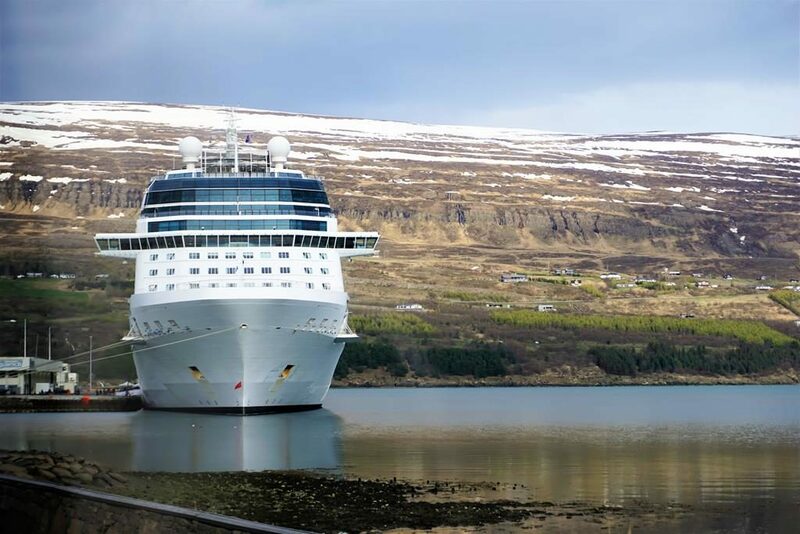 Have you visited Akureyri, Iceland on a cruise? Did you take a Jewels of the North Tour during your visit? Drop us an anchor below to share your favorite things to do in this northern cruise port.